In the Hollywood Industry, there are many black women. Though there is much black beauty, we have listed you the list of top ten most beautiful, gorgeous and Incredible Hollywood Celebrities, working in both Films and Entertainment world. Kerry Washington is a gorgeous ‘Scandal’ actress, born on January 31, 1977, in The Bronx, New York, U.S, who is famous for her work on Django Unchained, The Last King of Scotland and Save the Last Dance. Kerry has appeared in series, Boston Legal and she was listed in the ‘Time 100’ list of 2014 by Time Magazine. Meagan Good started her acting career when she was just four years of age. She has appeared in films, television shows, and music videos. Currently, she is busy working on television series, “Californication”. Meagan Good was born on August 8, 1981, in Panorama City, L.A, California, U.S.A.
Halle Berry is the only black actress won the Academy Award, who was born on August 14, 1966, in Cleveland, Ohio, U.S. Berry was voted as the sexiest woman alive by Glamour magazine and she was listed into the list as Maxim’s Hot 100. Cassie Ventura is a model, dancer, actress, and singer, famous for Step Up 2: The Streets. Ventura was the face of famous British fashion brand ASOS and has modeled for Calvin Klein. Cassie cried on Earth on August 26, 1986, in London, Connecticut. Born on January 25, 1981, in Manhattan, New York, U.S, Alicia has established herself as Singer, songwriter, record producer, actress, and pianist and has won the Grammy Award for 15 times. Zoe Kravitz was born on December 1, 1988, in Venice, L.A, California, U.S. She is an actress, singer, and model famous for the movies like X-Men: First Class, No Reservations, and The Brave One. In 2017, Zoe was named in Maxim’s Hot 100 List. Zoe Saldana, born in Passaic, New Jersey, U.S, on June 19, 1978, is an American actress and dancer known for Center Stage, Pirates of the Caribbean, Star Trek, and Avatar. Famous Singer, Rihanna, born in Saint Michael, Barbados on February 20, 1988, has established herself as multi-platinum selling, and multiple award-winning rockstars. One of the hottest women in the Entertainment Industry, Rihanna was named as one of Time Magazine’s 100 Most Influential People in the World and has ranked as the fourth most powerful celebrity of 2012. Nathalie Emmanuel, an English actress was born in Southend-on-Sea, the United Kingdom on March 2, 1989. Nathalie is famous for the films and series like ‘Game of Thrones, Fast 7, The Fate of the Furious and The Maze Runner. Beyonce also regarded as the Queen B was born on September 4, 1981, in Houston, Texas, U.S.A. Musician, media mogul, a brand, a feminist and a mother, Beyonce was voted as the hottest woman of the 21st century by GQ. Further, she needs no introduction. Last Updated on May 23rd, 2018Vicky Krieps earns huge from her profession as an actress. She has tremendous net worth and a Luxurious house. She has made a lot of earnings throughout these years and is currently worth millions. Well, (Read more)…. 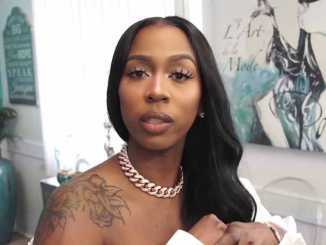 Last Updated on November 18th, 2018Kash Doll is a well-known rapper, songwriter and actress whose real name is Arkeisha Knight. She never stopped grinding and working hard because of which she gained huge success in her career. Kash is known for (Read more)…. Last Updated on January 24th, 2019Shorty Description of Elisabeth Shue Elisabeth Shue, born as Elisabeth Judson Shue is an American actress who came to limelight after her roles in the feature films such as Back to the Future Part III, (Read more)….